Do you love reading, writing, and maybe even taking photographs? Do you have something, or even a variety of things, that you’d love to write about and share with others? If so, you may have thought about creating a blog but haven’t done so yet. Well, there’s no time like the present and it’s actually much easier than you probably think to start a blog. 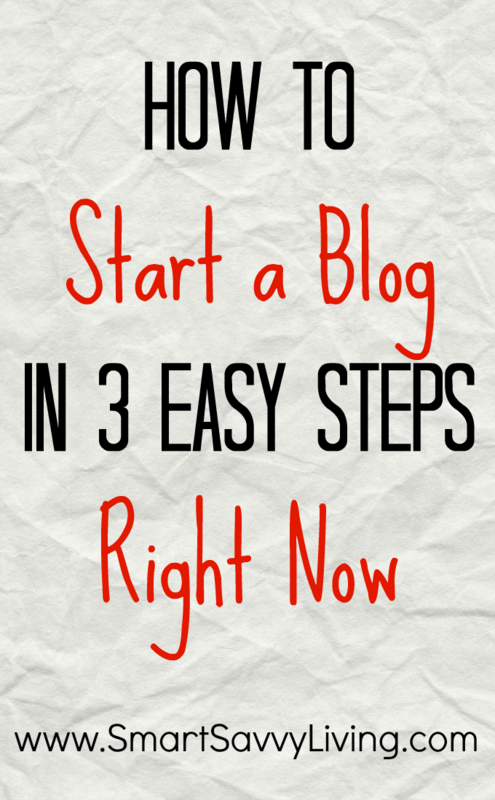 All you need to do is follow these 3 easy steps to create a blog. I’ll start by saying this guide to starting a blog is intended for those that would also like to eventually make money from their blog. If you’re wanting to just make a hobby blog, you may want to start with a free blogging site through places like wordpress.com or blogger.com. Otherwise, it does take a few bucks to maintain a blog that you want to run as a business. Often times it really does take money to make money, but luckily blogging is one of the few businesses that take very little money upfront to start. I don’t recommend free blogging sites for business blogs as the free sites can delete your whole blog at any time without warning and you may never get it back. One of the most exciting parts of starting a blog is choosing your domain name. There are a ton of websites and blogs out there so I definitely suggest taking the time to really think about what you want to blog about and then creating several domain names from that idea in case your first few ideas are taken. I probably spent a whole week before settling on SmartSavvyLiving.com! To make this super easy for your first blog I’m suggesting you use Bluehost to buy your domain name and then host your blog. I’ll be honest and say that some people love Bluehost while others don’t so much. However, this is true for most businesses and eventually you may need to move on to another service that can better meet your needs, which is what I did as my blog and traffic grew. But, Bluehost is a great way to start out because they make it so very easy to get your blog created and started for a very low cost. 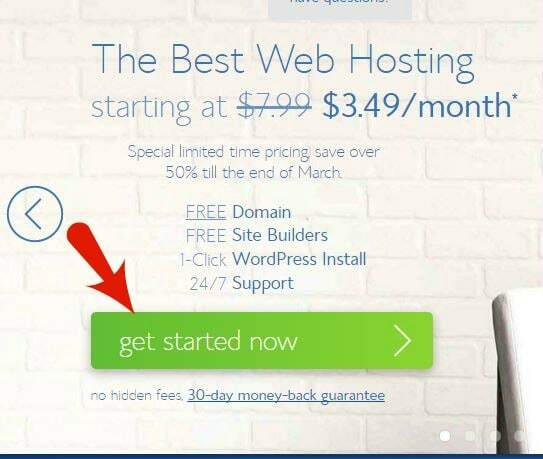 To get started you’ll want to click on this link to go to Bluehost.com. You’ll then see a green button that says get started now. Click on it and you’ll be prompted to pick which type of hosting you want. I suggest starting with the basic plan. You can always upgrade your plan if needed. You’ll be paying one lump sum instead of paying monthly, but you’ll save a LOT of money in the long run by doing this and also get a free domain name. You’ll then be taken to the area where you can pick your domain name. Enter the domain name you want (without any spaces) in the box under new domain. The best part is that this is free! If the domain name you entered has already been registered you’ll go to a page that says this and you’ll need to move to your next choice until you find one that hasn’t been registered. I do suggest going with a .com and not a .net, etc., even if your first choice is available in one of those endings. Once you’ve entered a domain that hasn’t been registered you’ll be taken to the page to setup your account. 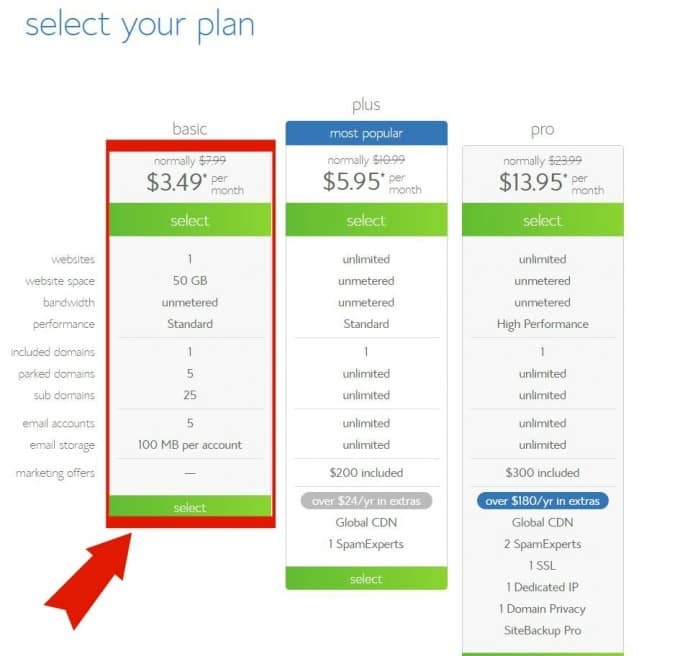 You can choose to buy hosting for 1, 2, or 3 years. The longer you buy, the less you will pay per month. This is obviously totally up to you. Just keep in mind how long you are willing to give this blogging thing a try. After that you’ll see a box with a lot of other add-ons you can buy. 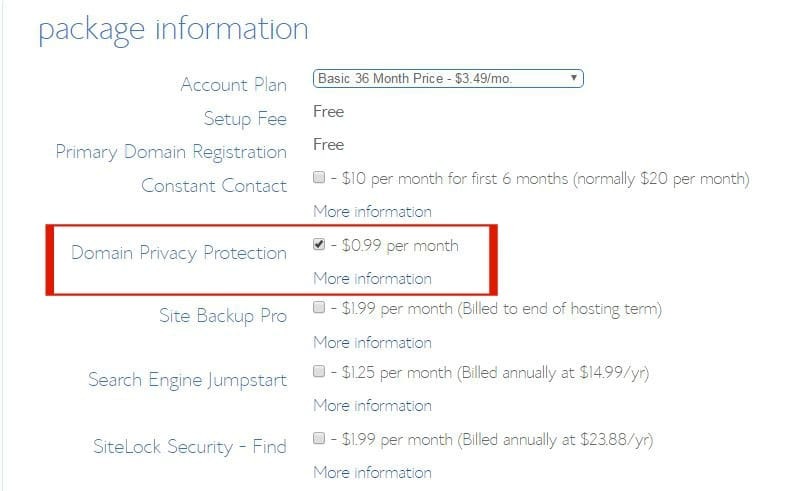 The only one I suggest buying is Domain Privacy Protection. Having the privacy protection means that if someone looks up your domain name in the registry, they will not be able to see your name, address or phone number, which would otherwise be visible. After your purchase is complete, you have officially bought your domain and completed the first step to starting your blog. Congrats! WordPress is what is known as a Content Management System (CMS). WordPress is one of the most popular blogging platforms and allows you to easily post content on your blog without a lot (or any, really) technical know-how. So, if you’ve been putting off starting a blog because you don’t think you know enough about the backend of how blogs work, you should be able to pretty easily figure out how things work. If you can write documents in Word, I can assure you that you can do this. As you continue blogging you’ll certainly learn more tips and tricks, and there are so many free tutorials out there if you need help. Anyway, you’ll want to go through Bluehost to install WordPress. To do this, login to your account at Bluehost.com and find the Website Builders box on the page. Under that you should see a WordPress icon (blue with a white W). Click on that icon and then click on the install button. You should then be asked what domain you want to install WordPress on. Choose the domain you just bought (it should be the only option you have) and click on the Check Domain button. You should then see a check a box asking you to read the terms and conditions which you’ll need to read and then check the box that you agree. After that, click on the install now button. You should then see a page that says your install is complete and have the option to view credentials. Click on that and make sure to save or write down your admin link, username, and password. You can change these later, but, for now, you’ll need them to login to your website and get your blog officially started. At this point you have WordPress installed and are now ready to start writing! If you have any problems just contact Bluehost support and they should be able to help you. All right, you’re officially ready to make your blog your own. With WordPress this is really easy to do. 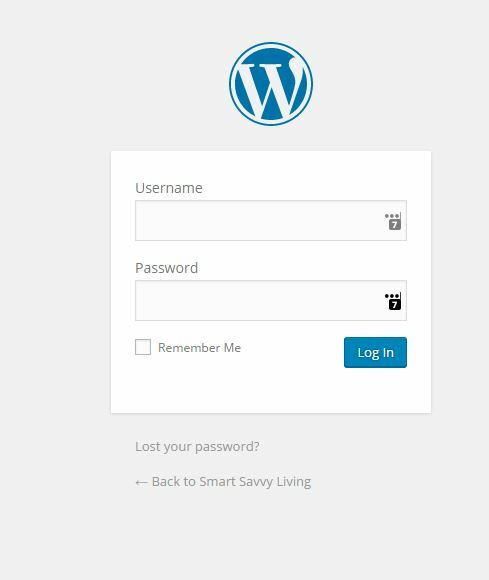 To get started, you’ll want to go to your admin link that you saved when you installed WordPress and then fill in the username and password you saved as well. The screen should look similar to the one above this paragraph. There should be a free WordPress theme already activated when you login so you can get started posting immediately. A theme is basically something you can install on your blog and then personalize it as you want. There are ton of different themes you can install and some of them are free (like these) while others do have a one-time cost. If you have the funds available and are pretty sure blogging is something you’re going to want to stick with for a while, I personally recommend getting a StudioPress Theme. This means you’ll need to buy the Genesis Framework that all StudioPress themes work on. After that, you can use all sorts of StudioPress themes that easily change the design of your site. The awesome thing about StudioPress themes is that they look great without any further customization, but you can also pretty easily change them. They also usually have a lot more easy-to-use features that free themes may not have. I really like Foodie Pro, which is what we use on Smart Savvy Living, and also Brunch Pro, which is by the same author. These themes are really nice if you plan to post recipes as they can automatically make a visual recipe index for you as you publish recipes. And there you have it, folks! You’ve set up your very own blog. Congrats! I hope you one day soon see the success you hope for with it and love it just as much as I do. If you’d like to do a bit more reading or get more in-depth advice, here are some other posts I’ve written about starting a blog that you might find helpful.